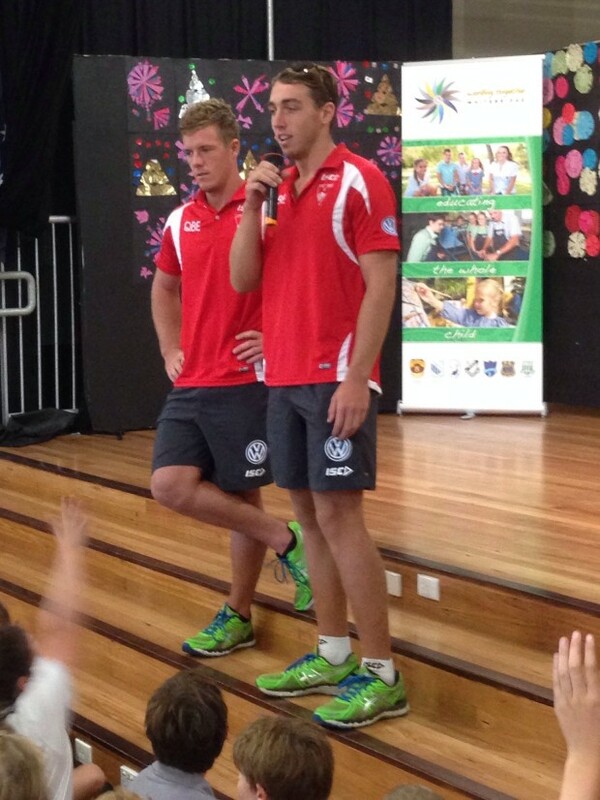 We were lucky enough to have a visit from Luke Parker and Dan Robinson from the Sydney Swans on Tuesday. The boys spoke to Years 3-6 about healthy eating and leading an active lifestyle. They also spoke about the routines involved in being a professional sportsperson as well as a lot of AFL chat.